Automatic beat matching and DJ mixing software! Simply start the DJ software and mix your favorite music! DJ Mixer Express for Mac is an affordable and easy-to-use beat-matching and DJ mixing software to create your own custom DJ-style music. The applications features include Dual player decks, automatic mixing, automatic BPM detection, automatic pitch matching, automatic tempo control and one-click instant beat-matching synchronization, sampler, Vinyl simulation, crossfading, seamless looping, automatic-gain, keylock, master-tempo, multiple effects, and support mix your music from iTunes. automatic beat and tempo detection allows you to easily match two songs for a perfect transition. you can easily define your own sound by applying audio effects. support record your mixes to WAV/AIFF formats for burn them to CDs. With DJ Mixer Express, mix & perform your music files at a professional level, anyone can mix their music with program's simple interface in just minutes. DJ Mixer Express offers High-Quality sound with support for all major audio formats including MP3, AU, WMA, WAV, AIFF, M4A, MP4 audio format. It is used around the world by bedroom DJs and professional superstars alike. Works on both Mac OS X and Windows platform. Fully support Mac OS X 10.9. DJ Mixer Express for Mac is used by 1000's of DJs in some of the most influential venues worldwide. "this program mode the art of DJ mixing feel easy! A whole new experience in DJ software." "DJ Mixer Express works just as well for the club DJ as the radio jockey, and it's a third of the price of its rivals. Frankly, you won't find a better, cheaper pro DJ-ing solution!" MAC OS X 10.4 and higher operating system; Windows XP, Vista, Windows 7 and 8. FREE ColorStrokes. The best-selling color editor for Mac! Get ColorStrokes by Macphun Software for FREE – the world's most popular photo app for creative color editing! Beloved by over 900 000 Mac users, ColorStrokes is the world's most popular photo app for creative color editing on Mac. You will get easy-to-use tools to create images with selective colors, draw with new colors, selectively enhance background or foreground, add creative blur, special effects and more. Simply load the image, pick a part to leave in color and the rest of the photo will turn into monochrome snap. Add more drama with special effects or vignette. Enhance images even further with a set of handy tools to adjust saturation, exposure, hue, blur, contrast and more. Easily share your masterpieceses via most popular social networks. 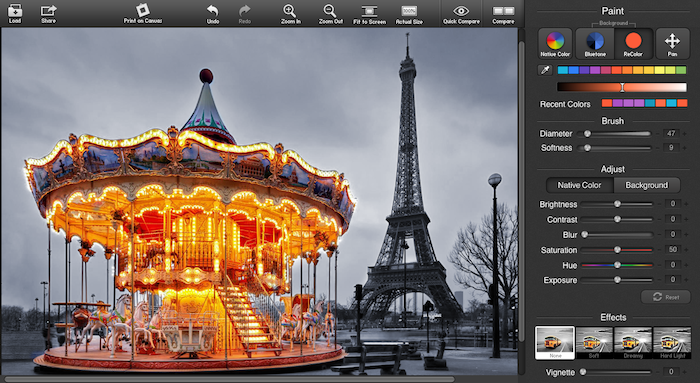 Export to iPhoto and Aperture libraries or even print on canvas. Hurry up. This offer won't last long. WinX DVD Video Converter for Mac Bundle – 78% Off! Rip DVD movies, convert HD videos, make slideshow and record screen. Convert and rip DVD movies on Mac to AVI, MOV, FLV, MKV, MP4 and others. 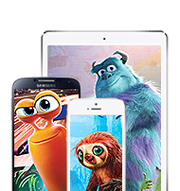 Convert and rip DVD movies to iPhone 5S/5C/4S/4, iPad Air/Mini/4, iPod Touch 5, Apple TV, iTunes, Android, Sony PSP, WP8 and other popular mobile device. 1:1 Copy DVD movie to Mac’s hard drive and USB by copying DVD to MPEG2 file with original video and 5.1 Channel AC3/DTS Dolby audio. Full DVD copying can be done within 5 minutes depending on CPU and DVD driver performance. Bypass all DVD protected technology and remove DVD CSS, region code, RCE, Sony ArccOS, Disney X-project DRM, etc. Continuously be updated to support the latest protected DVDs from Disney, Paramount, Warner, etc. Allow users to customize parameter settings of the output video and audio, such as frame rate, bitrates, volume, and resolution. It is easy to use with well-designed user interface. Convert Blu-ray videos, HDTV/HD-camcorders videos, 4K UHD videos, 1080p multi-track HD videos M2TS, AVCHD, HDTV, BDAV, MPEG-TS to others. Convert standard video AVI, MPEG, TS, FLV, WMV, MOV and QT to others. Download videos, HD videos and even 4K videos from YouTube. Complete downloading around 30 sec with advanced YouTube video download engine. Convert downloaded video to iPhone, iPad, Android, WMV, MOV, etc on Mac. Turn multiple JPG/PNG/BMP photos into a slideshow video and convert it to iPhone, iPad, AVI, MKV, MP4, MOV, and FLV. Allow users to add background music and voiceover, share the slideshow on YouTube, Facebook, etc. 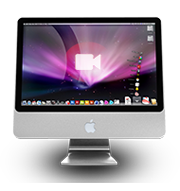 Record every on-screen move and action on Mac with embedded Screen Recorder and Video Recorder. Allow users to make software/game tutorial and convert the recorded video. Get These Two Helpful Tools at 78% Off Discount!